Charter flights between Moscow and Bodrum considered a good sign for improvement in Turkey’s tourism. Many months after reconciliation of deteriorated relations between Russia and Turkey due to downed Russian jetfighter, the picture shows that tourism business between two countries is improving again. In fact, Turkish authorities have already announced on several occasions that millions of Russian tourists are expected to visit Turkey in 2017. Within this scope, the BODRUM PROMOTION Foundation participated in the 24th Moscow (MITT) International Travel & Tourism Fair, which took place in Moscow between 14-16 March 2017. Members of the Bodrum Promotion Foundation from the Moscow Representation of said Foundation carried out promotional activities at the Bodrum stand, in the show. On that occasion, some promising developments were observed as good signs to contribute to improving tourism business relation between Turkey and Russia. After discussions between Turkish companies (Tez Tour, Coral Travel) and Russian partners (VIM-AVIA –Vnukovo - and "I Fly") it was announced that reciprocal charter flights between Moscow and Bodrum would be planned and operated in cooperation with VIM-AVIA and "I Fly" twice a week on Tuesdays and Fridays between April 28th and October 29th, 2017. On the other hand it was announced by officials from Coral Travel that Moscow-Bodrum-Moscow charter flights would be conducted between April 30th and October 15th, 2017 in cooperation with the "Uralskiye Avialiniyi" (Domodedovo) airlines, four times a week from April 30th to May 29th 2017, and 6 times a week thereafter. Bodrum is certainly one of the most prominent tourism spots in Turkey and the municipality is making an intensive effort to promote Bodrum as one of the outstanding touristic destinations in the world, as well. 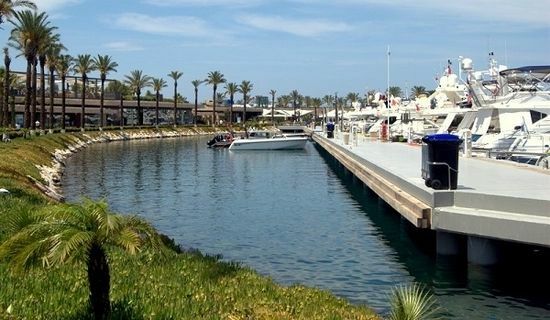 The municipality officials have stated that direct flights between Moscow and Bodrum will certainly help increase the potential of incoming Russians and contribute to revenues of the region as well as the country.